I’m a huge fan of dips…and appetizers in general! 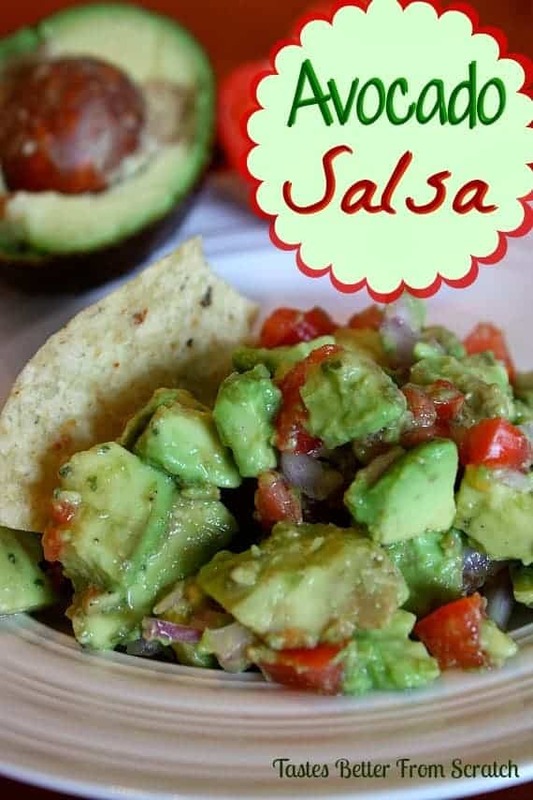 I love to make homemade salsa and other types of fresh salsa like this yummy avocado salsa! You could serve this with tortilla chips, on top of grilled chicken or fish, on a salad. in a sandwich, or with a quesadilla or tacos! In a medium bowl combine the avocados, onion, tomatoes and cilantro. Gently stir in the lime juice, pepper and garlic salt.